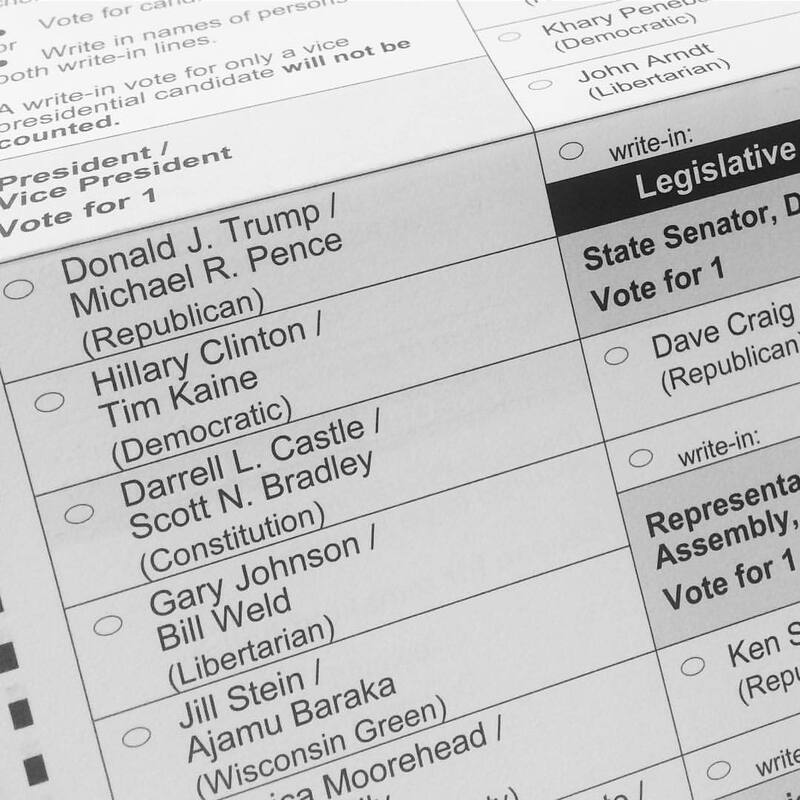 On November 8, 2016 citizens of the United States of America will vote for their next president, as well as for a number of local and state representatives. Regardless of who ultimately wins, the Jewish Americans who vote will be expressing a concern for, and commitment to, their government that has characterized Jewish life throughout the centuries. However, it is not only on election day that Jewish communities, both in the United States and around the world, express their connection to their governments. As the Prayer for the Welfare of the Government (a broad term that I use to describe prayers the state or governing authorities) demonstrates, Jews have been regularly and consistently expressing their feelings about the authorities. The earliest mention of a prayer for the welfare of the government dates back to the Biblical prophet Jeremiah, who, after the destruction of the First Temple in 587 BCE, encouraged the exiles to “seek the welfare of the city to which [God has] exiled you and pray to the Lord in its behalf; for in its prosperity you shall prosper” (Jeremiah 29:7). Later, during the first century CE, the assistant high priest, Rabbi Chanina, reminded his colleagues of the importance of praying for the welfare of the government, stating “Pray for the welfare of the government, for were it not for the fear of it, people would devour each other alive” (Pirkei Avot, 3:2). These Biblical and rabbinic exhortations to pray for the government were taken to heart in the centuries after they were first made, as Jewish communities began to proliferate around the world and found themselves a minority population at the mercy of the rulers of Christendom or Islam. 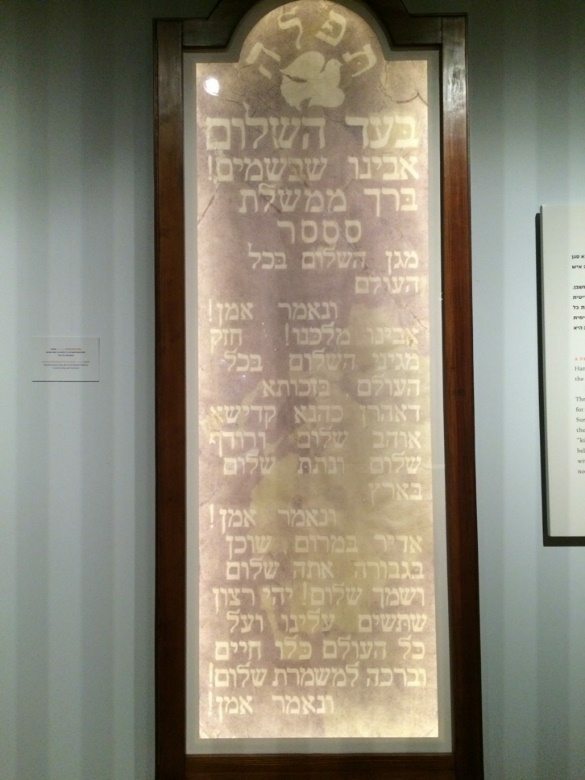 Eventually, by the mid-17th century, Hanoten T’shuah (May the One Who Grants Salvation), which was probably composed during the late 15th to early 16th century, became part of the standard weekly prayer service on Shabbat. Though there are a number of versions of Hanoten T’shuah, its basic form proved to be adaptable enough that it spread from Sefardic communities to European Ashkenazi ones and general enough that it could be adjusted to include the names of specific rulers in different areas (indeed, there are records of a special version of Hanoten T’shuah that mention King Ferdinand, presumably written before he and his wife, Queen Isabella, expelled the Jews from Spain in 1492). “תפילה לשלום המלכות | A Prayer for the Royal Family of Queen Victoria (1860)” is shared by Aharon Varady with a Creative Commons Public Domain Dedication 1.0 Universal license. 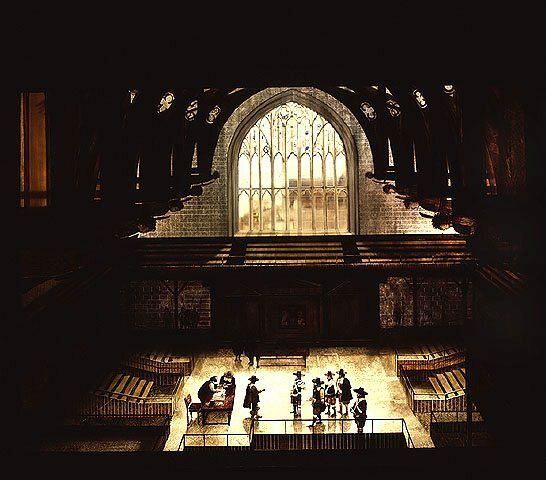 The ways in which various communities chose to use the Prayer for the Welfare of the Government was telling, in terms of what it revealed about the politics of the time and the ways in which Jewish communities felt about their governments. The standard Hanoten T’shuah is an explicitly supplicatory prayer, reflecting Jewish vulnerability and dependence on the authorities. However, depending on the circumstances, the prayer could be a subtle critique, or expression of discontent—even resistance—against governments that were hostile to the Jews. More than one scholar has noted that the continuations of many of the verses used within the prayer are darker and more violent than they first appear; for example, the verse from Psalms, “May the One who grants salvation to kings, the One who delivers David his servant from an evil sword” continues with “Rescue me, and deliver me out of the hand of strangers, whose mouths speak falsehood and whose right hand is a right hand of falsehood” (Psalms 144: 10-11). Only the first part is actually quoted within the prayer. At the same time, the Prayer for the Welfare of the Government could help Jews and Jewish communities prove their loyalty to a suspicious regime. When Oliver Cromwell convened the Whitehall Conference in 1655 to discuss whether or not the Jews should be readmitted to England, the Dutch scholar, Rabbi Menasseh ben Israel (Manoel Dias Soeiro, 1604-1657) sent Cromwell an English translation of the prayer, assuring him in an accompanying letter that it was “An evident sign of the proper and naturall [sic] resolution of this Nation, and their constant obedience to their Princes.” Just over a century later, in 1768, Rabbi Shneur Zalman of Liadi, the founder of the Chabad movement who was arrested by the Russian authorities on suspicion of treason, produced a copy of a version of Hanoten T’shuah that he had written as evidence of his loyalty. Indeed, even after the Bolshevik Revolution (November 6-7, 1917) those Jews who braved official disapprobation by continuing to attend services were nonetheless still under pressure from a government that did not want religious prayer at all to include a prayer for the government. The New Wing at Beit Hatfutsot includes an example of a Soviet Prayer for the Welfare of the Government taken from a synagogue in Moscow. This prayer for the government does not use the Hanoten T’shuah formula (though, interestingly, certain phrases would reappear in the Prayer for the State of Israel, which would be written in 1948 by Rabbi Isaac Herzog), instead emphasizing peace and the Soviet Union’s role as the guardian of world peace. On the other side of the Atlantic, prayers for the government often subtly and symbolically reflected some major political upheavals that took place in the United States. The first major shift took place after the American Revolution (1765-1783), when, for example, in Congregation Mikveh Israel in Philadelphia changed “our Sovereign Lord King GEORGE the Second, His Royal Highness, George Prince of Wales, the Princess Dowager of Wales, the Duke, the Princesses, and all the Royal Family” to “His Excellency the President, and Hon’ble Delegates of the United States of America in Congress Assembled, His Excellency George Washington, Captain General and Commander in Chief of the Federal Army of these States.” Congregation Shearith Israel in New York took the democratic spirit a step further, and stopped rising for Hanoten T’shuah, a symbolic act emphasizing the fact that subservience was no longer a feature of American life; similarly, when Congress was in recess, the prayer did not mention Senators and Congressmen in the prayer, to highlight that the representatives were, in fact, fellow citizens and not royalty. Perhaps the most recently-composed Prayer for the Welfare of the Government is the Prayer for the State of Israel, written after the 1948 establishment of the State by Rabbi Isaac Herzog. The Prayer for the State of Israel was not based on Hanoten T’shuah; according to Israeli scholar Joel Rappel, Herzog specifically sought to create a new prayer, in order to make a statement about the movement towards Jewish self-determination and away from Jewish powerlessness in foreign lands. Herzog’s prayer specifically emphasizes Jewish power and the State of Israel as a major component of the messianic redemption. 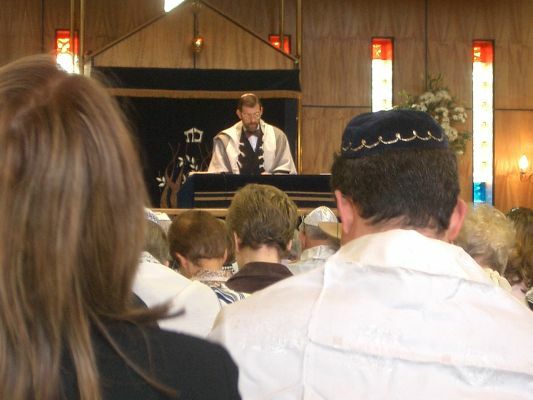 Paralleling the popularization and development of Hanoten T’shuah, the Prayer for the State of Israel became a feature of Shabbat services both in Israel and in communities outside of it, generally recited (outside of Israel) after the Prayer for the Welfare for the Government. And just as Hanoten T’shuah was often altered to mirror the needs, concerns, and political realities of a particular community, Herzog’s prayer has undergone a continuous process of reevaluation, reflecting the ways in which communities relate to the Jewish State. 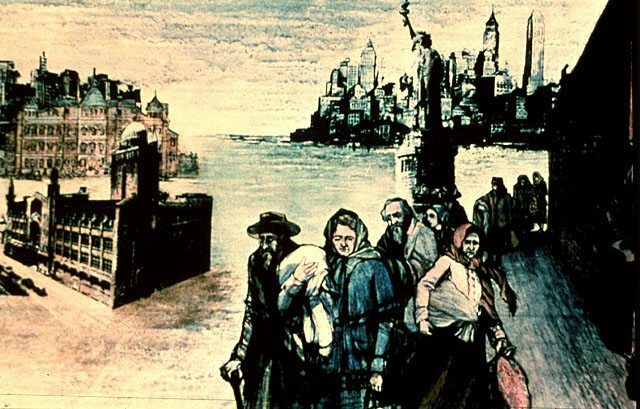 Communities outside of Israel who incorporated the Prayer for the State of Israel into their services often chose to tone down, or even omit, references to the ingathering of exiles, messianism, and/or militarism. However universal the Prayer for the State of Israel, or the Prayer for the Welfare of the Government (Hanoten T’shuah or some other version) might be, it is nonetheless also a way for a community to express its values, politics, and theology. Elections may take place irregularly, but those communities who recite the Prayer for the Welfare of the Government are, in a sense, voting each and every week for the ideas, principles, and people that best define them. Whether it is a commitment to a particular form of government, the subtle expression of power in the face of powerlessness, the advancement of a political ideal, or something else entirely, this prayer allows Jews to be in conversation with each other, as well as with the world around them. 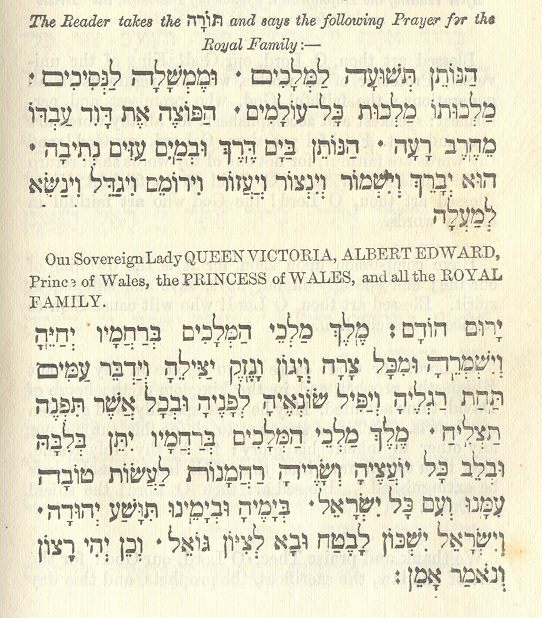 “A Prayer for the royal family of Queen Victoria (1860).” Open Siddur Project – פרויקט הסידור הפתוח, Web. 3 Nov. 2016. “Prayer for the Government by Avraham Hyman Charlap (1916).” Open Siddur Project – פרויקט הסידור הפתוח, Web. 3 Nov. 2016. “The Jews of the Confederacy.” American Jewish Archives (1961): 3-90. “The Prayer for the Safety of Kings, Princes, and Commonwealths, as Presented in English Translation by Menasseh ben Israel to Oliver Cromwell (1655).” Open Siddur Project – פרויקט הסידור הפתוח, Web. 3 Nov. 2016. Marx, Rabbi Dalia, PhD. “The Prayer for the State of Israel: Universalism and Particularism.” All The World: Universalism, Particularism and the High Holy Days (Prayers of Awe). Ed. Lawrence Hoffman. Woodstock: Jewish Lights, 2014. 49-76. Sarna, Jonathan D. “Jewish Prayers for the U.S. Government: A Study in the Liturgy of Politics and the Politics of Liturgy.” Moral Problems in American Life: New Perspectives on Cultural History. Ed. Karen Halttunen and Lewis Perry. Ithaca: Cornell UP, 1998.